Morning ladies, for this month's post for House of Fraser I thought we'd look at payday treats. Pieces that would be perfect for breathing some new life into wardrobe staples, that have that little bit of extra detailing & je ne sais quoi that makes them stand out from similar pieces on the high street. 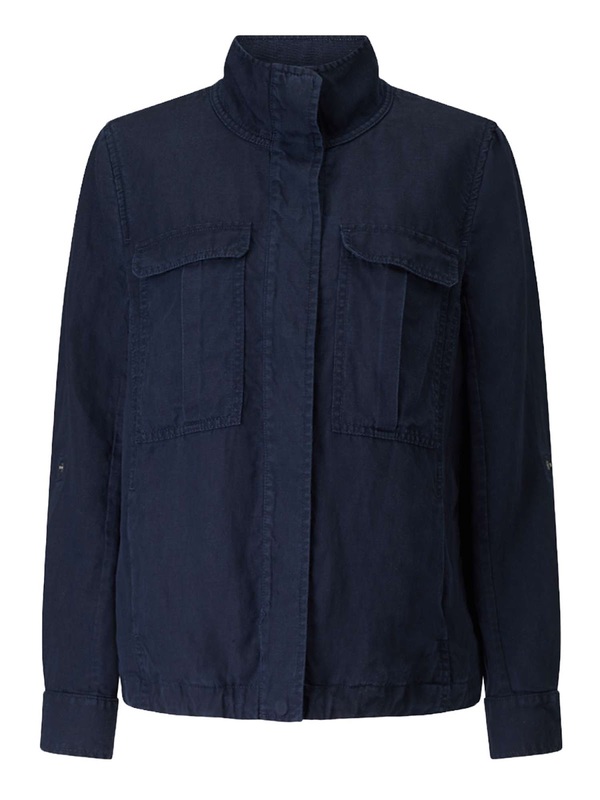 So lets jump straight in, starting with the above linen mix military jacket. Personally I always have a soft spot for anything with a hint of a military vibe & think this jacket would be just perfect for teaming with some cropped wide legged trousers, a simple breton & trainers. The next item that caught my eye is the above monochrome maxi skirt that would be ideal worn with a biker jacket, trainers & a simple tee or crew neck jumper for cooler days. A great versatile piece that will mean you can give your jeans a break as when teamed with ballet pumps or trainers there's no reason why a skirt needs to be any less practical then denim. Plus you can swish around in a maxi skirt & I always think you just feel that little bit more feminine in a skirt. Even when dressed down with the basics. 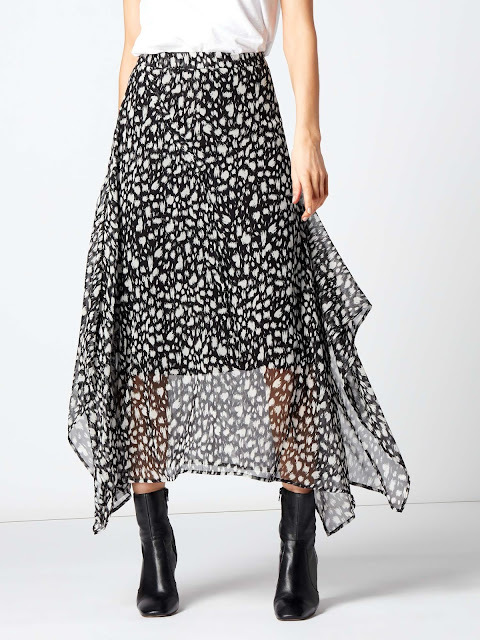 This next item literally popped out at me & I think a lot of us would probably be tempted by the above eye-catching summer dress. Not something that can necessarily be worn at this time of year but come the summer & holiday time how gorgeous would this look teamed with tan flat sandals, a panama & denim jacket. 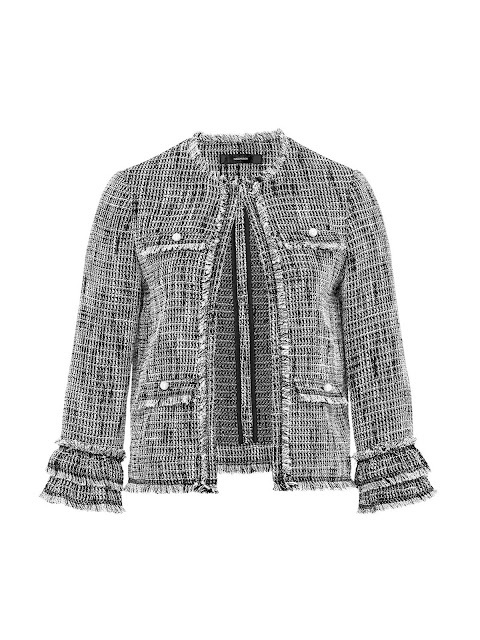 You probably all know by now that I have a jacket addiction especially anything that vaguely resembles a Chanel piece so the above piece probably needs little explaining as to why it caught my eye. Dress up with heels, a cami & cigarette pants or team with a tee & jeans & trainers for everyday. It will bring the most simple & basic outfit together & turn it into something with the wow factor. Statement blouses are great wardrobe additions, dress with ballet pumps & jeans for everyday or swap for heels for a night out. 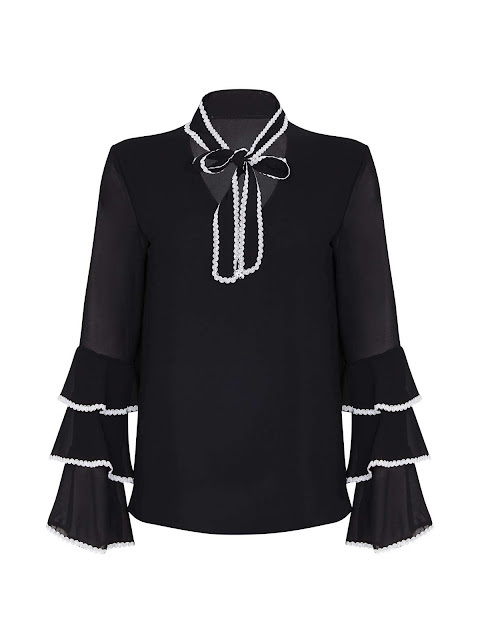 I find if I've got a few favourite statement tops they're perfect for reaching for on those nights when you don't want to dress up too much but also want to look as if you've made an effort. Personally I'd wear the ties undone on the above blouse. 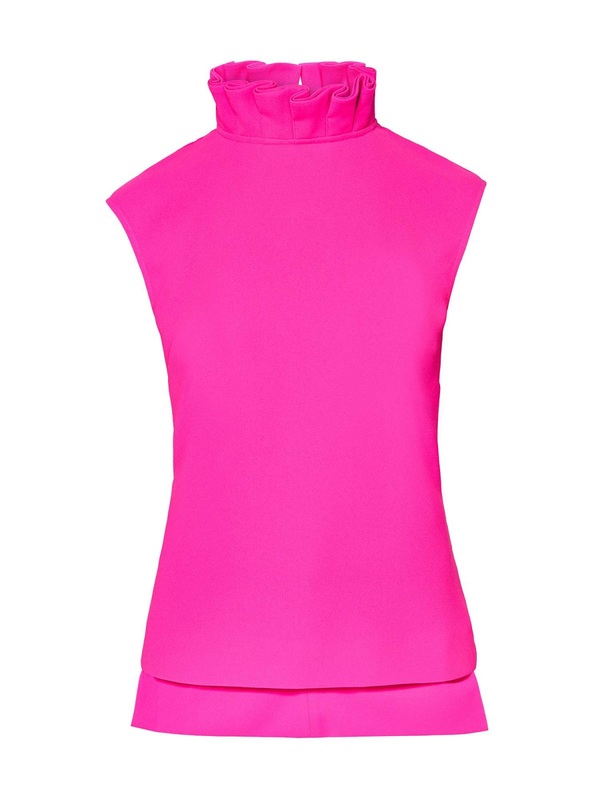 Talking of stunning, I'm loving this vibrant hot pink ruffle top. 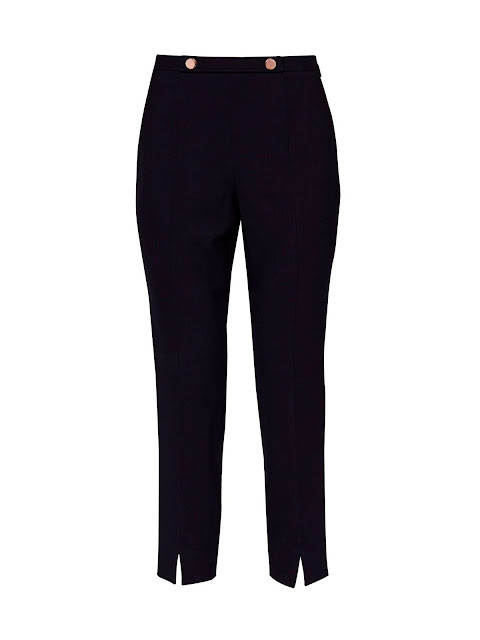 Ideal for pairing with either a pair of jeans or cigarette pants, depending on the occasion. Style with a clutch & heels & this outfit would take you anywhere. I mentioned earlier that I love military detailing & whilst the above trousers aren't strictly a military design the gold buttons give a nod to the trend & elevates an ordinary pair of cropped fitted trousers into something a lot more special. 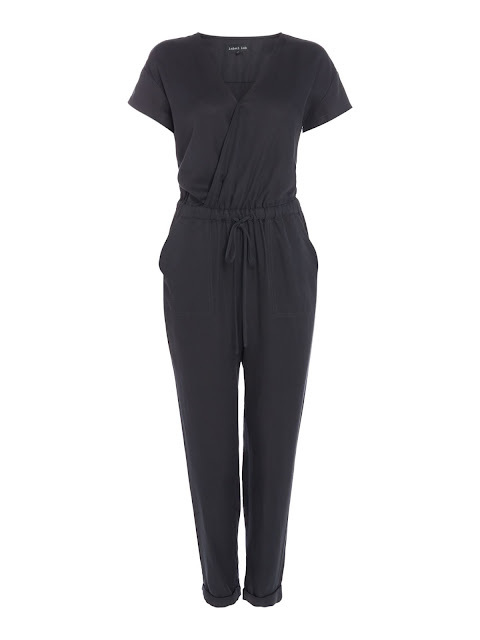 Now if you're on the look out for an everyday jumpsuit the above one could be perfect & ideal for wearing with a biker jacket/blazer/denim jacket. You could even dress it up with heels & a statement wide belt. 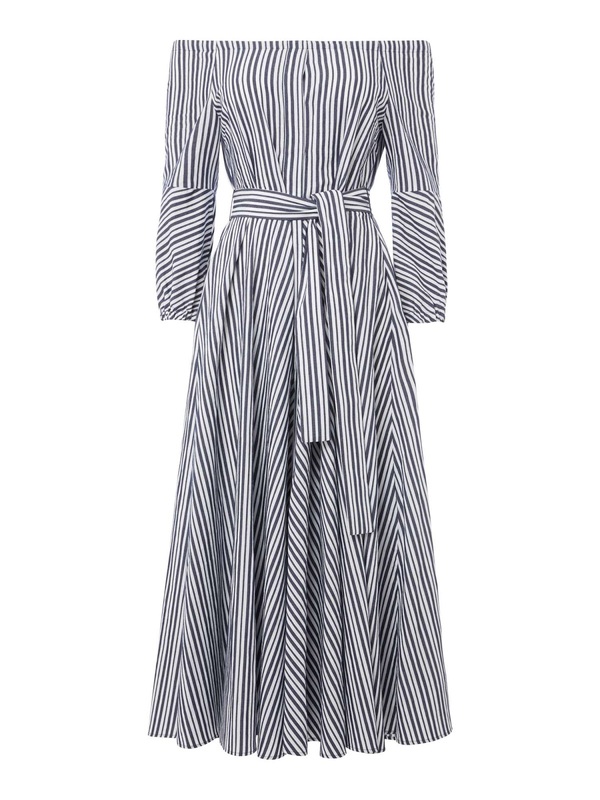 Something for all us stripe addicts next with this simple stripe dress. I love how it's been styled above & for cooler days you could wear with either a trench or denim jacket. 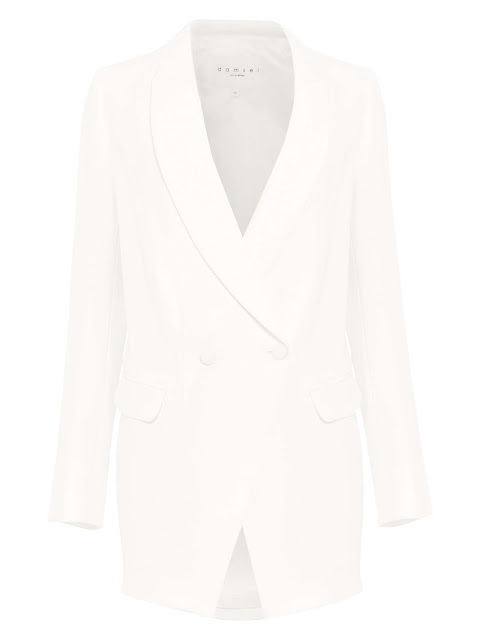 If you're brave enough to go with a white/off white blazer then I love the above double breasted tux. 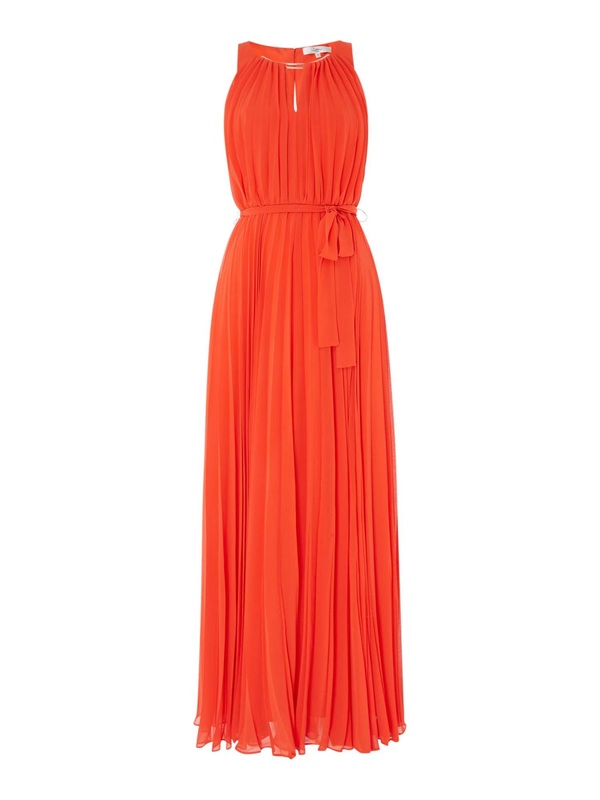 This with a cami, skinny jeans & understated heel sandals would make a great night outfit. More stripes with this elegant off the shoulder stripe dress. I just love everything about this & think it has a real continental feel. Now you can never have enough white shirts/blouses (fact!) 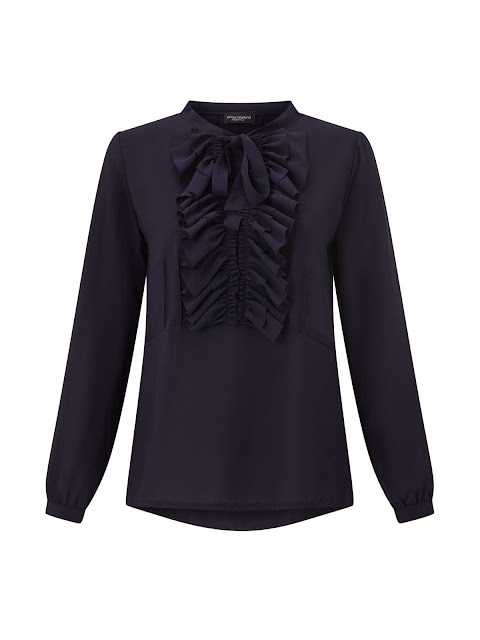 & the pintuck detailing of the above blouse is just effortless. Perfect for wearing with jeans or denim cut offs with a panama & the neckline would be ideal for showcasing a couple of delicate chain necklaces. And finally how gorgeous is the white detailing on this statement pussybow blouse. Again I would personally leave the bow undone but I bet this would earn it's keep extremely quickly & get a lot of compliments in the process. Back to today & I'm breaking out a new pair of shoes. By now you probably all know I have a HUGE weakness for anything shiny so when I spotted these Kurt Geiger shoes they had my name all over them. Perfect for a special night out or even a night down the pub with jeans & a blazer but equally ideal for adding a little glamour to an everyday outfit. And of course they're perfect for wearing for an evening too, here's how I styled them Friday evening for a fab night in with friends. So ladies lots of new temptations, although as is always the case I've only featured a small fraction & lots more new into store beauties can be found here. Plus House of Fraser currently have a great lingerie offer on - 20% off when you buy 2 lingerie items, see here for all the details. I'd love to know if there's anything I've featured that catches your eye. Or perhaps you've already got your payday treat lined up & are all poised to 'click that button'. If so I'd love to hear what you're treating yourself to.